First the Microsoft launched the Silver Light Technology, then the Google came with their Gears and Now its Adobe's turn with their Adobe AIR. In simple AIR is a software that will let computer users to use the online applications, off line. Using the AIR, the online application developers, can easily develop a desktop interface for their online application. Currently supporting only Windows and Macs. Linux Version to be launched by this year end. The software and the SDK are FREE. Security Issues??? 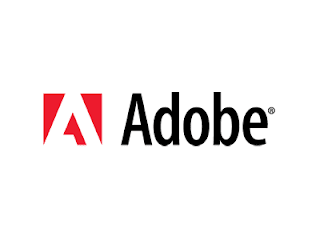 - Adobe advices to install AIR applications from sources that the users trust. EBay has already developed their application using Adobe AIR. Some of other showcase applications are available HERE. As the software-as-a-service concept is getting hotter and hotter, such technolgies will definitely bring seamless transition between the online and offline worlds. We need to wait and see who wins in this race. I have been using Pownce desktop client for quite sometime now. If this is how AIR applications are going to look/perform,then I must say that I am better off without AIR apps.I prefer the web. Why would someone want to web applications from desktop? I mean that's why we have the browser,right? "Why would someone want to web applications from desktop?" Everyone speculates something great to happen from somewhere. Who knows this might reap millions of dollars tomorrow. I would like to have the web browsers to do such online and offline tasks.